During the coming week all homerooms will be starting their second unit of inquiry of the year. As the students move through the inquiry process, they will ask questions (Getting Started), gather information (Investigate), connect their ideas (Connecting Ideas) and then attempt to think about them in a new way (Going Further). Teaching teams collaborate to identify the possible skills that could be developed at each stage of the inquiry and structure the learning outcomes using the SOLO Taxonomy. 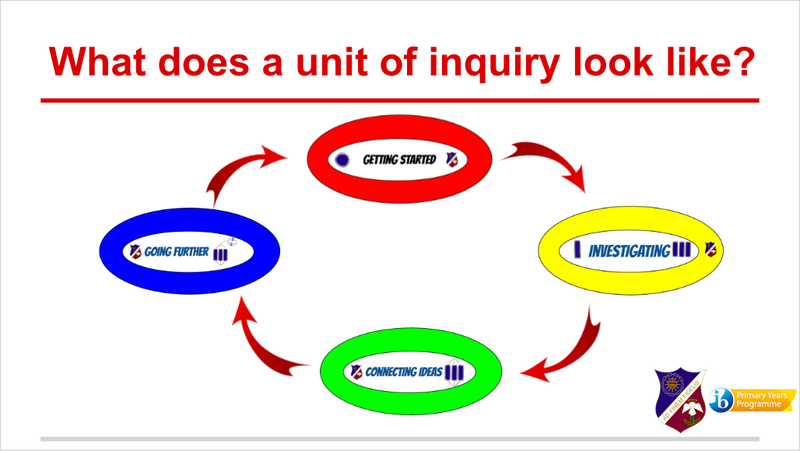 The inquiry cycle we use at Seisen is closely connected to the SOLO Taxonomy and allows students to move from shallow thinking, where they are collecting information, to deeper processing where they are required to connect ideas and go further to think about these ideas in different ways. You can see how each grade level's upcoming unit aims to do this by clicking on the learning outcomes, below. Grade One will start their How We Express Ourselves unit and will be inquiring into how the various celebrations and traditions around the world can be expressions of shared beliefs and values. Grade Two are also starting their How We Express Ourselves unit and will inquire into how stories can engage their audience, communicate meaning and express values. Grade Three will begin their new How We Organise Ourselves unit and will be introduced tro some economics concepts and will start inquiring into how marketplaces depend on the ability to produce goods and services that can be exchanged. Grade Four will start their Who We Are unit, looking at how the effective interactions between the human body systems contributes to health and survival. Grade Five are starting their How We Organise Ourselves unit and will inquire into how food production and distribution systems around the world are alike and different and what people can do to make these practices more sustainable. Grade Six will be studying How the World World Works and will inquire into the Earth's physical features, how they change and how the Earth's physical geography impacts human interactions and settlements. For more detailed information about how the units may develop, click on the links below to view the possible learning outcomes for the units. These learning outcomes are written in a way to encourage student choice so they can determine the content to inquire into. For example, although all grade six students will learn how to compare and contrast different physical features, the specific features students decide to find more out about will be dependent on individual interest. Likewise, when Grade 4 students inquire into the body systems and how personal choices can affect health, they may choose to investigate different systems, depending on their personal interest. Please feel free to leave your comments on our blog.